Whether you've got a new goal or feel like you need an extra push to accomplish an older one, use these easy tools to make it happen. One simple action could make you 42 percent more likely to achieve your goal: Write it down. A study from the Dominican University of California featuring participants of different ages, genders, countries and careers found that the most common driving force in successfully meeting any goal was to write it down. And if you really want to tap into the motherlode? Study participants who wrote out their goals, action commitments and weekly progress reports -- then sent them to a friend for accountability -- were close to 80 percent more successful than those who didn’t write down their goals. If you've got pressing goals you want to see come to fruition before the next time you make New Year’s resolutions?, never fear -- we’ve rounded up some of the top goal-setting journals to consider for your next tool for success. What We Love: Necessity drove invention for the two creators of SELF Journal: Both wanted to build their own businesses, but they felt as if each day’s work wasn’t getting them any closer to their long-term goals. 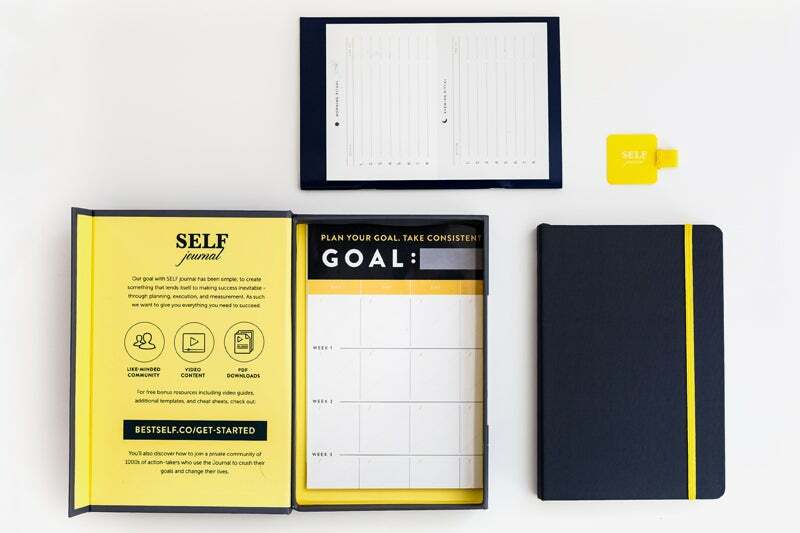 Two years of research and interviews later, they had their final product: a goal-setting journal that worked for them (and has since worked for many others). The journal isn’t dated, so you can start anytime, and it touts 13-week goals as the ideal timeframe for success. It’s divided into sections for daily, weekly and monthly goals, and each has space to write out tasks, timelines, wins, lessons you’ve learned and things you’re grateful for. It also includes space for notes and ideas and quotes from key figures to inspire you. What We Love: Conquer Your Year encourages users to set one major mission or goal for their business, and it’s geared towards entrepreneurs (creator Natalie MacNeil is an Emmy Award-winning entrepreneur herself). It forgoes a traditional calendar in favor of pages prompting you to outline actionable “baby steps” for your long-term goal -- sectioning tasks off by day, week and quarter. The first step is setting a “word of the year” to focus in on (MacNeil suggests words like “aligned,” “connected” or “alive”). The next step involves writing out your “bigger picture goal,” then breaking it down into five different strategic milestones and actions. And if you’re a proponent of vision boards, those are included, too. For balance, entrepreneurs can also set health, happiness and relationship goals. What Customers Say: One reviewer writes, “I take this book everywhere with me. 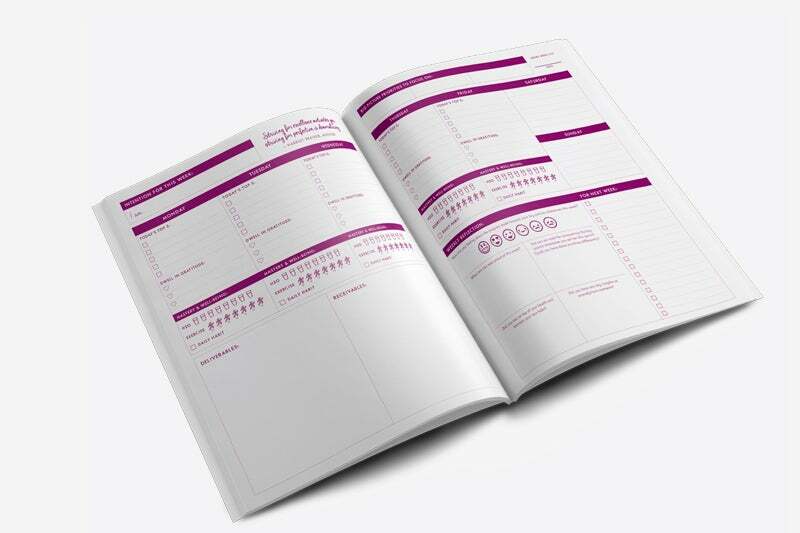 It's helping me break down my goals and be more clear.” Another says, “I have tried many different planners to try and help me manage running a business, but this is a beautiful layout and easy to follow. Can't wait to see how 2018 goes using this beautiful setup! 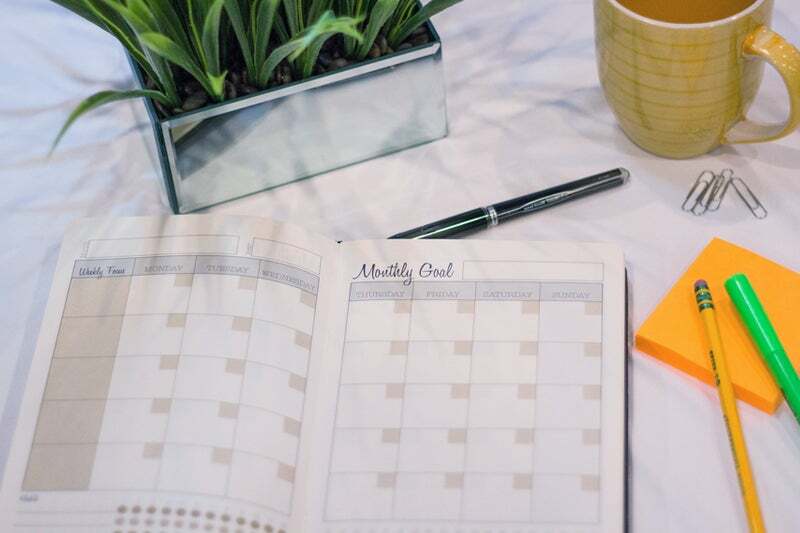 What We Love: If you have trouble juggling priorities, the Always Satisfied Daily Planner offers “priority worksheets” to assign value to each of your tasks, based on aspects like urgency, importance and comfort level. Then, it ranks your tasks to gauge what should come first on your to-do list. You can fill out the planner’s weekly procrastination worksheets to hold yourself accountable, and it also comes with space to track your habits and outline what you’re thankful for. Planning pages help break your long-term goal into actionable benchmarks, and it includes a daily timeline from 6:00 a.m. to 10:00 p.m. -- as well as blank dates so users can start anytime. Another perk? Instead of introducing a different motivational quote every day, the planner repeats key quotes and daily affirmations in the hopes that users will internalize them. 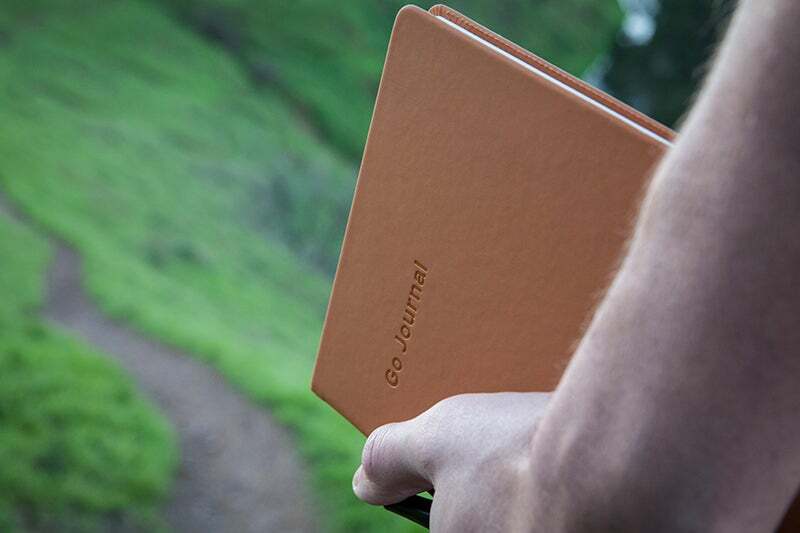 What We Love: Go Journal was founded on simplicity and the idea that 10 minutes a day is enough to reap the benefits of journaling. Its first step involves brainstorming where you’d like to be in one year, then choosing what you’ll work on over the next 90 days. During that three-month chunk, the journal gives you 12 weekly “resets” to outline your goals for the following week and learn from your own behavior patterns. Breaking things down further, the journal takes you through 90 daily exercises that encourage you to write down your goals every morning, as well as what you’re grateful for and daily lessons learned every evening. 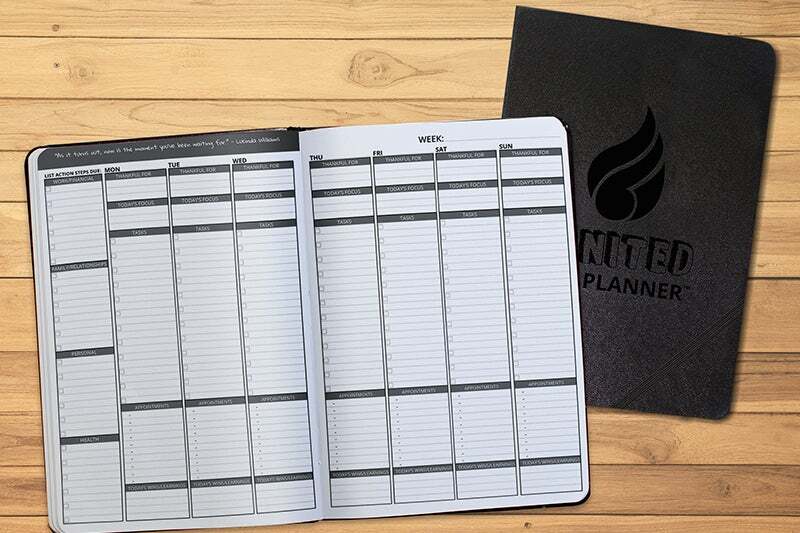 What We Love: If you’re looking to stick to, say, a New Year’s resolution, the Ignited Life Planner can help: It encourages users to map out one-year goals in areas like work, family, personal and health. Then, you break your goals down into smaller weekly benchmarks by taking time on Sunday nights to outline what you plan to accomplish over the course of the week ahead. The journal’s project plans and calendar months aren’t dated, so you can start anytime, and it also has blank pages for notes and daily spaces to write in what you’re grateful for.